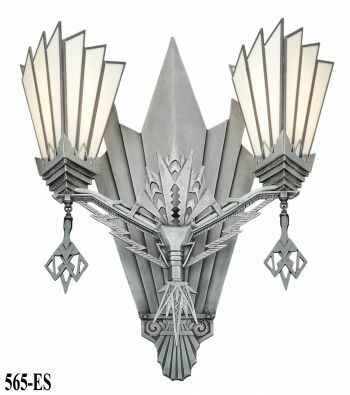 Really quite a striking chandelier. 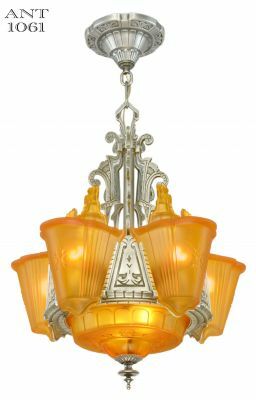 Most French chandeliers have elements of Victoriana Rococo style designing, while this example goes directly for a severe Deco Streamline look. 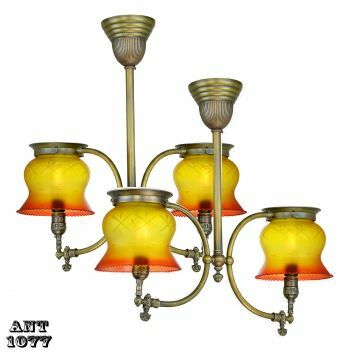 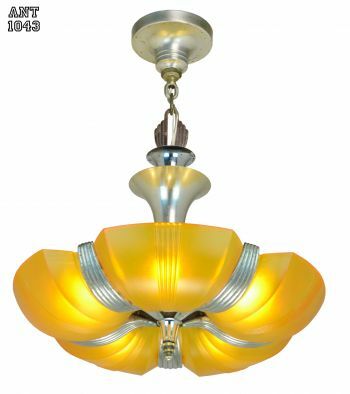 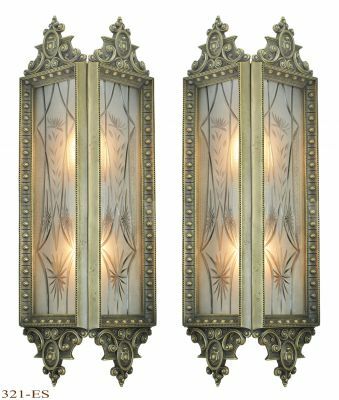 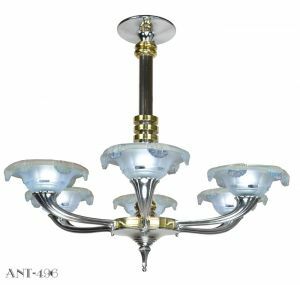 A nice 1930-1935 French Art Deco chandelier...Nickel Plated over brass...by the famous Paris based company Petitot, holding 6 clear and frosted glass Art Deco Ezan style shades. 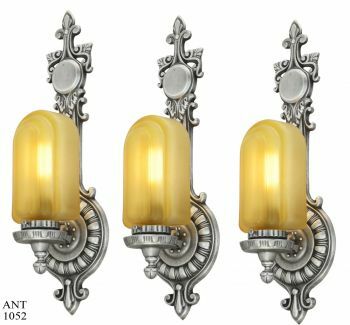 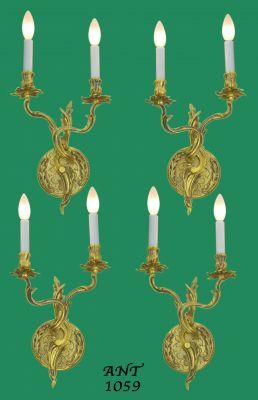 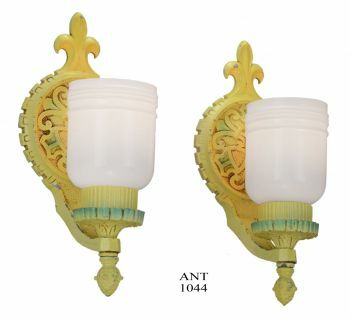 These shades are sometimes called "dripping ice," and are truly iconic for good early French lighting. 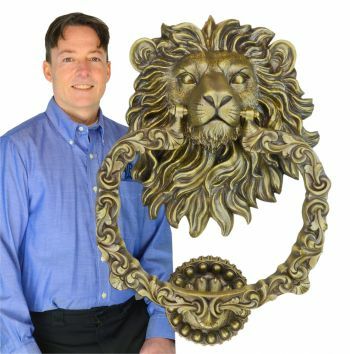 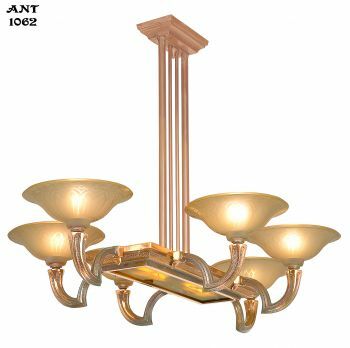 The bronze maker Antonin Petitot started his company in 1878. 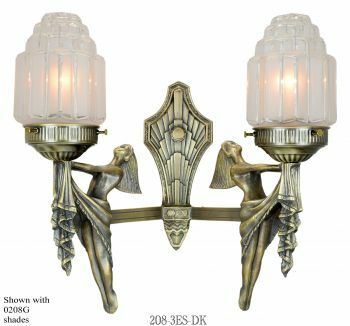 His son Henri took over in 1917. 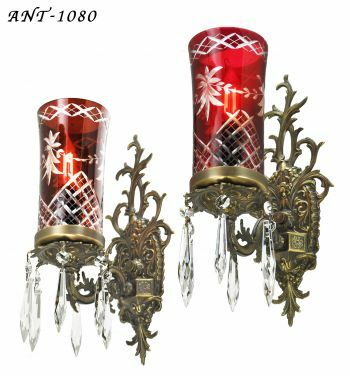 He sold his lights to lamp shops all over France, as well as Europe and the United States. 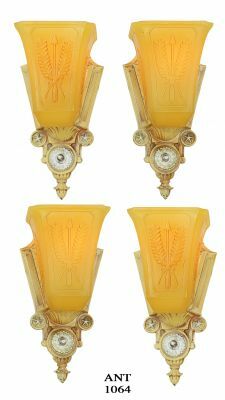 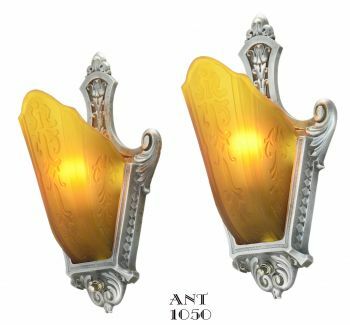 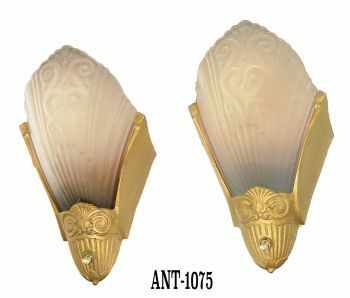 In the early days of Art Deco, they produced precious fixtures in high quality bronze with shades from the best French glass factories, such as Muller Freres and Degué...and then later, Ezan Glass Company. 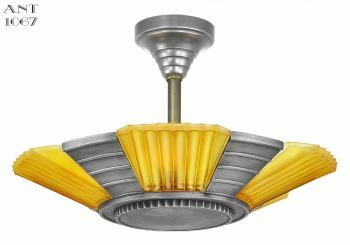 In the late 30's they changed their style and produced lights in a modernist look. 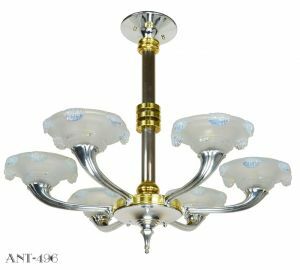 These beautiful chandeliers had shades of the highest quality of either Muller Freres or Ezan Glass Company (attributed). 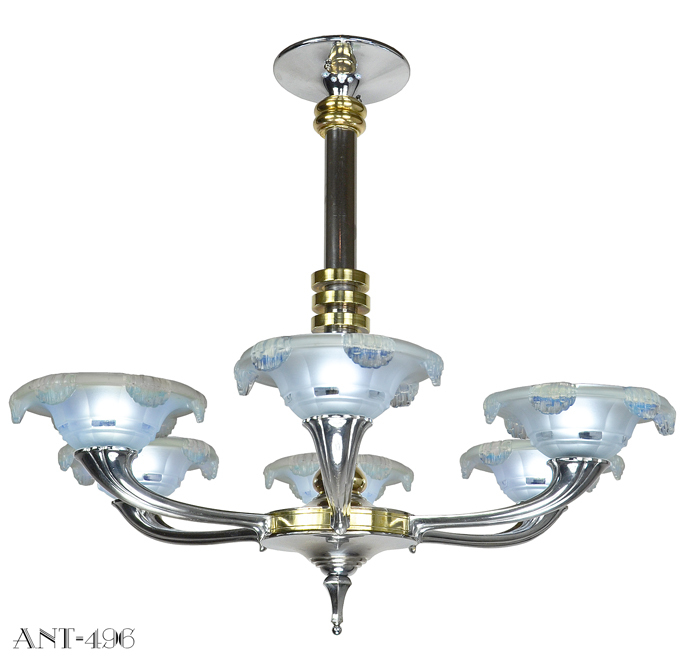 One small problem with these gorgeous French chandeliers is the height of the shades. 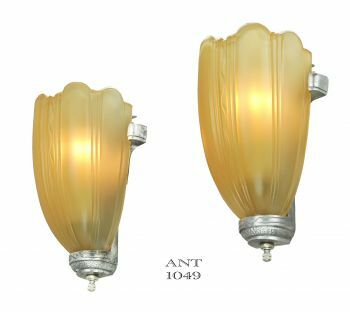 They are shorter than American shades, so the bulbs often show above the rim. 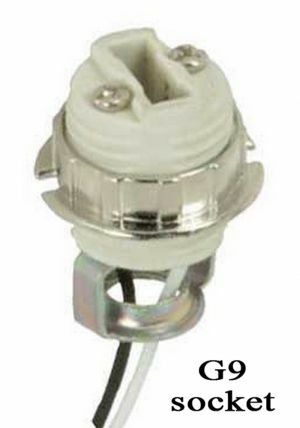 Not so attractive in most cases. 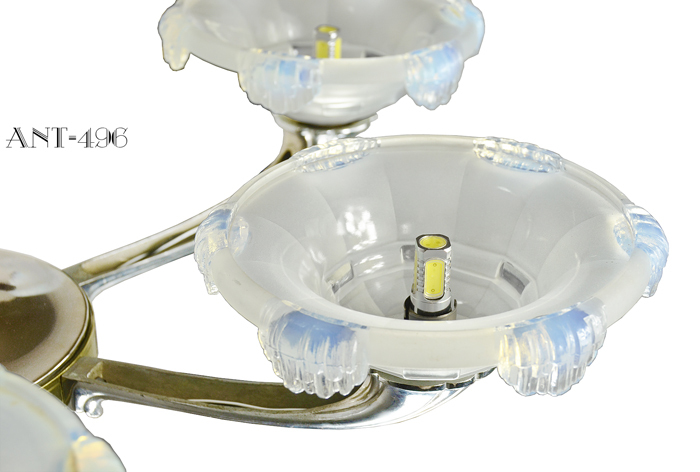 We modified this situation by installing G9 sockets for LED bulbs, so a more powerful G9 LED bulb can be used without peeking over the rim of the bowl. 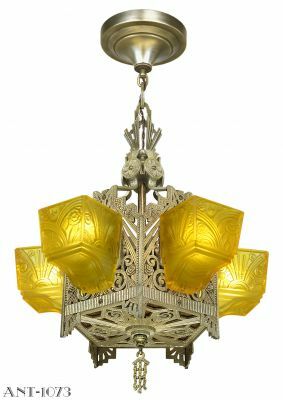 Gives more than ample light for these great shades. G9 sockets are installed by removing the old European guts of the socket while maintaining the outside brass housing. 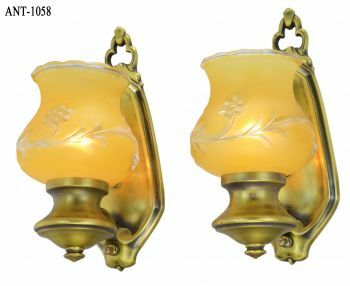 Then the G9 socket is installed directly INSIDE the original brass housing, thereby allowing the original housing to continue to hold the shades...just like when they were made. 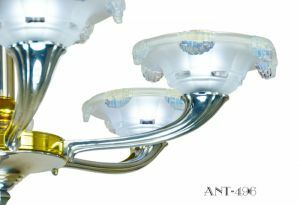 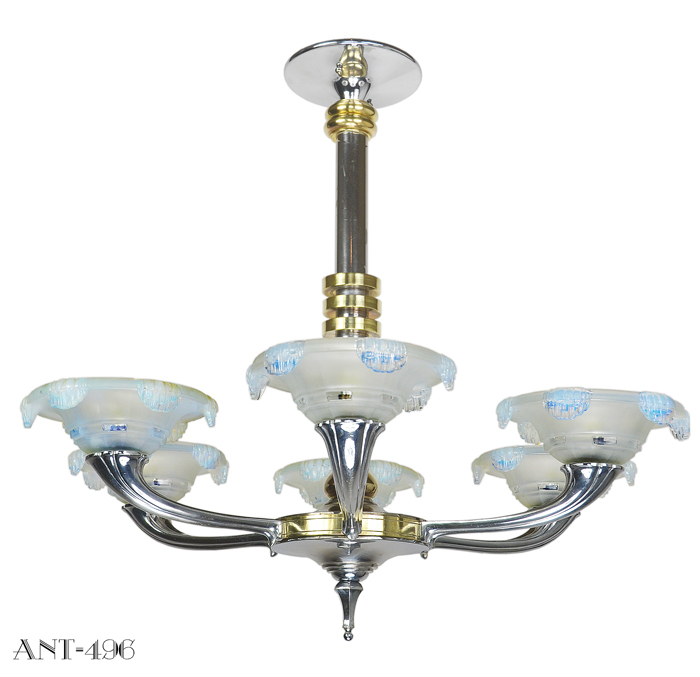 We have both color G9 bulbs, and can supply either a bright white bulb (5000°K), or a more warmer, incandescent looking bulb (2700°K) when you purchase the chandelier. And yes...replacement bulbs are readily available. 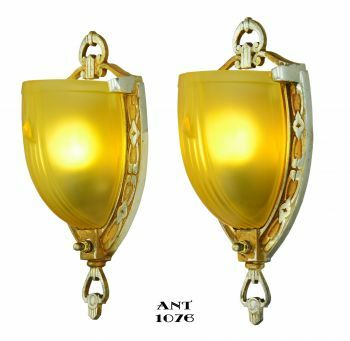 Width: 27", including the shades. 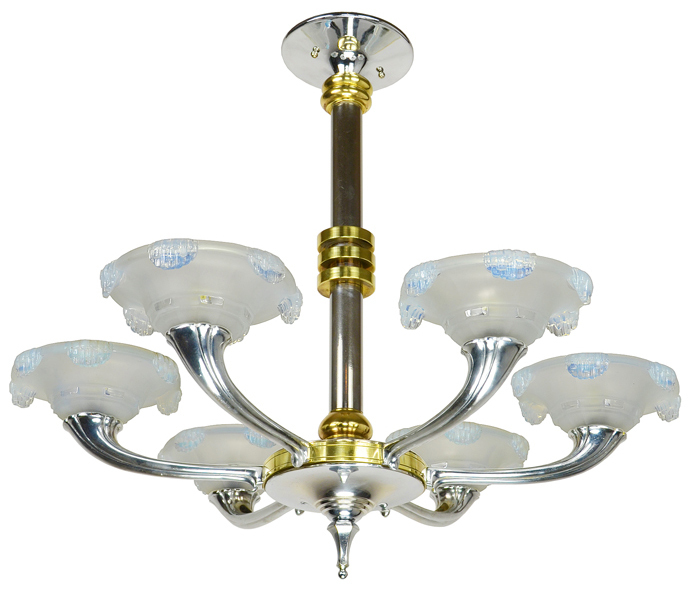 Price for the chandelier is only $2,450.00, plus careful packing and shipping. 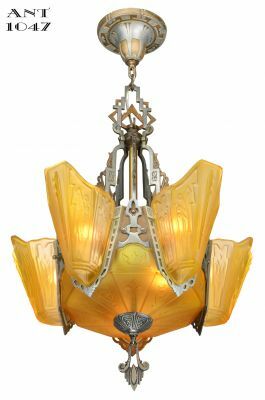 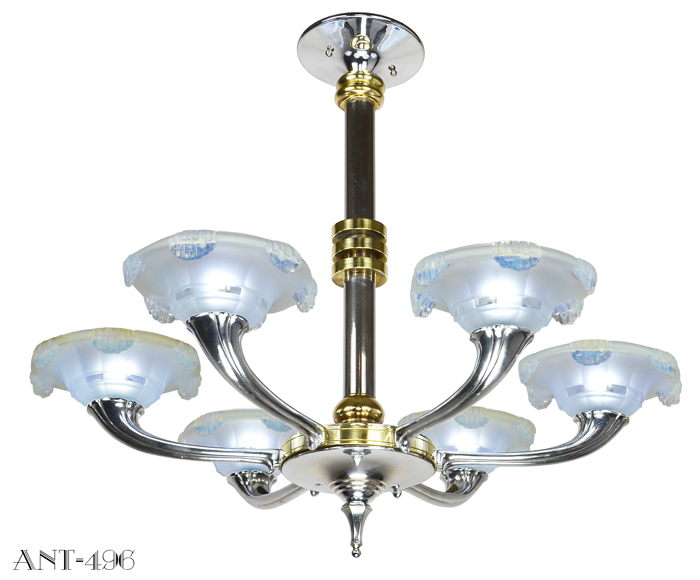 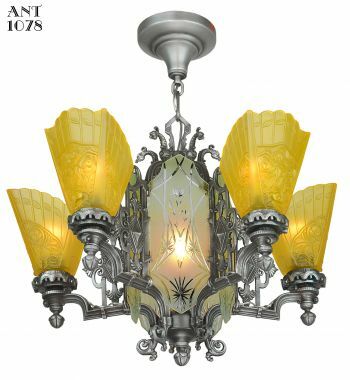 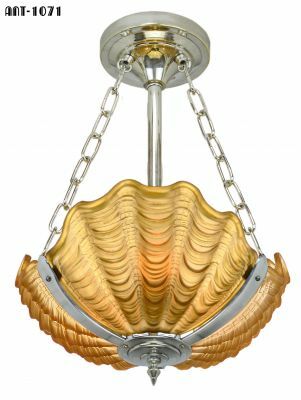 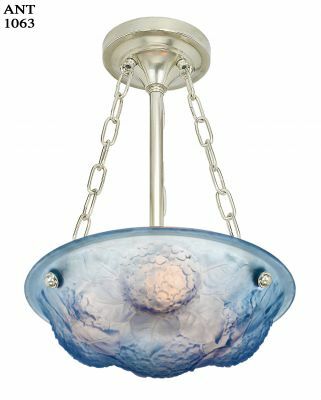 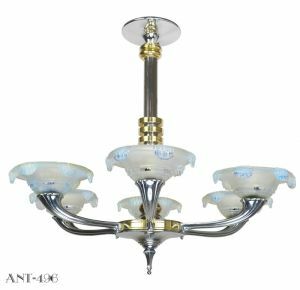 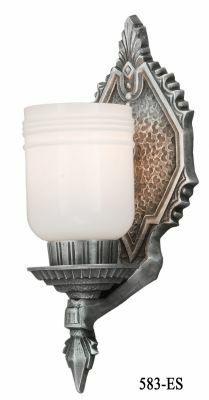 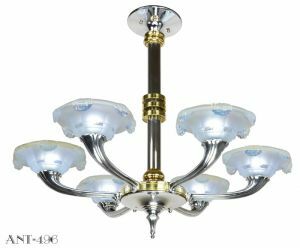 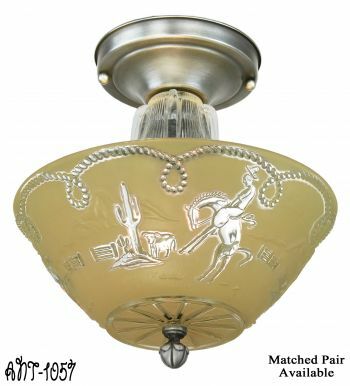 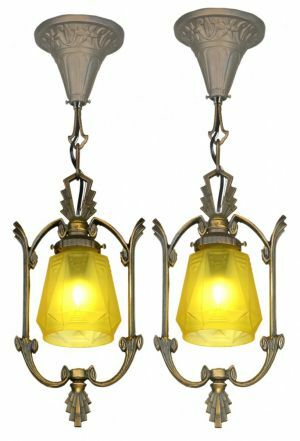 I say only because if you have done a bit of chandelier shopping elsewhere, you will know that some folks are asking upwards of $5,000.00 for a fixture of this type, and often, not as nice as this one. 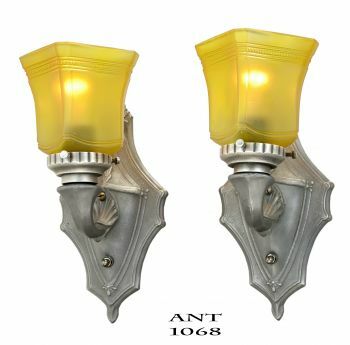 We're more realistic.